"We have sold thousands of these apps worldwide over the past couple of years and have always been the highest ranking HVAC apps on iTunes. Now, these apps are available for iPad users." 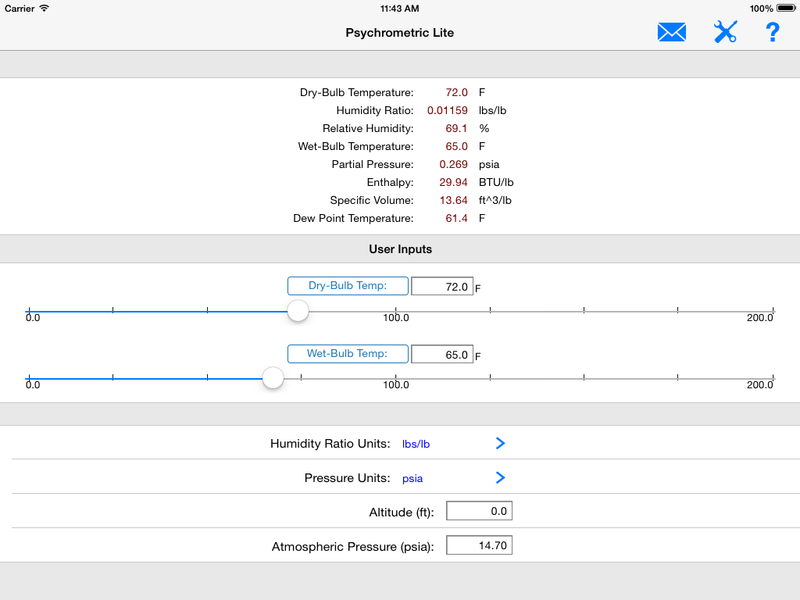 Carmel Software announces that it has released updates to three (3) of its most popular iOS apps: HVAC Quick Load, HVAC Psychrometric Plus, and HVAC Psychrometric LT. These apps now run on the Apple iPad in addition to the iPhone meaning that the same app will run on both devices and adjust its screen size accordingly. In addition, all of these apps are now optimized for iOS 7 (the latest iOS from Apple). This means that the user interface (the look-and-feel) of the apps have been updated to conform to the latest Apple guidelines. 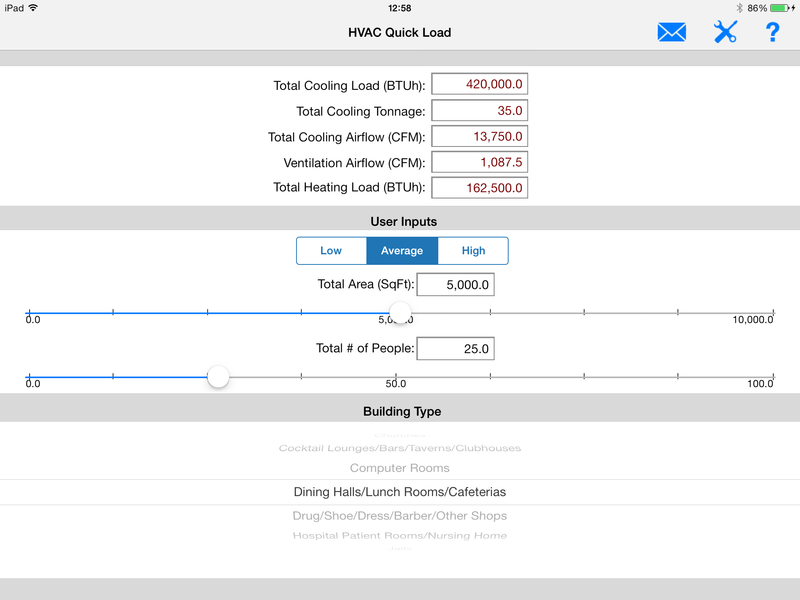 The HVAC Quick Load application performs rule-of-thumb HVAC cooling and heating load calculations for many types of commercial, industrial, institutional, and residential buildings. The HVAC Psychrometric Plus application performs single-state and mixed-air HVAC psychrometric calculations using a simple and easy-to-use interface. The HVAC Psychrometric LT application performs single-state (only) HVAC psychrometric calculations using a simple and easy-to-use interface. "When we first released these apps a couple of years ago, there were only 50 HVAC apps on iTunes. Today, there are 1000s. We have sold thousands of these apps worldwide over the past couple of years and have always been the highest ranking HVAC apps on iTunes. Now, these apps are available for iPad users," says Stephen Roth, PE, Principal of Carmel Software. The HVAC Quick Load, Psychrometric Plus, and Psychrometric LT apps are the perfect tools for HVAC technicians, designers, architects, and even home owners. Please go to www.carmelsoft.com/mobile for more information.